ENG: I do wanna live in London! Frankly speaking, never visited this place yet, but in my dreams there are everyone wears brogues, hats, trenches, drinking tea 24 hours and reading newspapers. I will go there one day and till that time here are few things, which reminds me this city: duster coat, striped t-shirt, boyfriend jeans, fedora hat and cute little red bag. We’re masters of our mood, so let’s create positive one! Thanks for visiting! RU: Друзья, хочу жить в Лондоне. Я там, правда, ни разу пока не была, но мне кажется, будто в этом чудесном городе все носят шляпки, броги и плащи, пьют круглосуточно чай и читают газеты. А до тех пор у меня есть свой кусочек столицы Британии в виде длинного тренча, шляпы песочного оттенка, тельняшки, удобных конверсов, красной сумочки и бойфрендов. Настроение мы создаём себе сами, не правда ли? Хорошего вам дня! Love the coat, the color is very pretty and goes so well with the stripes! Классный образ ! Удачных выходных! Целую! 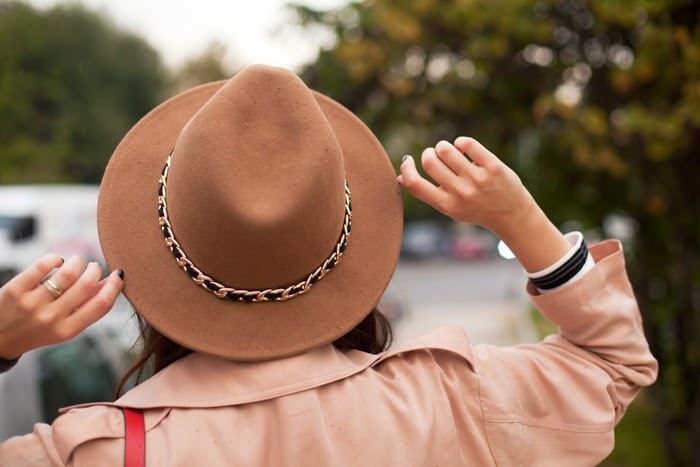 Great hat and coat! You look beautiful! you look amazing dear Viktoriya...so stylish! Hey Victoriya, I love this outfit and your hat. The hat is my favourite autumn accessorie. I wish you a beautiful day. Aw this is so cute! We are indeed masters of our mood. But you need to visit London, it's my favorite place in the world. 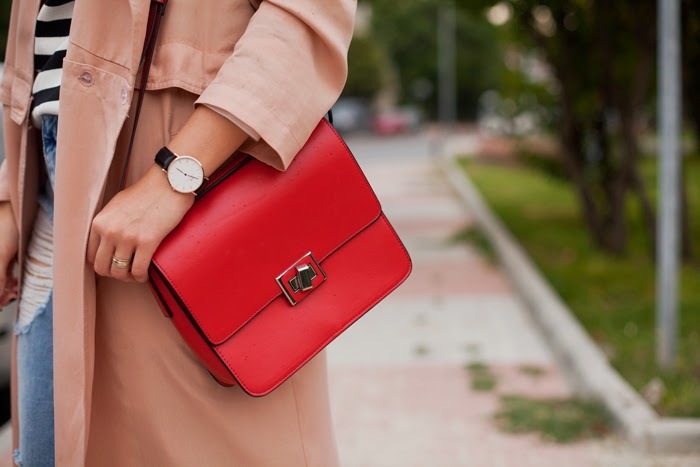 I love the pop of red of your bag! чудесный образ)))))дума не только до Лондона,но и для других мировых столиц то же! Dreamers chart their own course and destiny. Dreamers are always striving to be the person they were meant to be and are not afraid to be different.